The role of Rotary vacuum pump (also called Roughing pump), in creating a smooth vacuum cycle cannot be stressed upon enough. In turn, this makes rotary/mechanical pump oil an important factor in the smooth running of the vacuum pump. Unfortunately many vacuum pump users do not realize that rotary vacuum pump oil is not an ordinary lubricant. It is a special fluid, manufactured, keeping in mind the required thermal and oxidative stability and is absolutely different from motor oil. 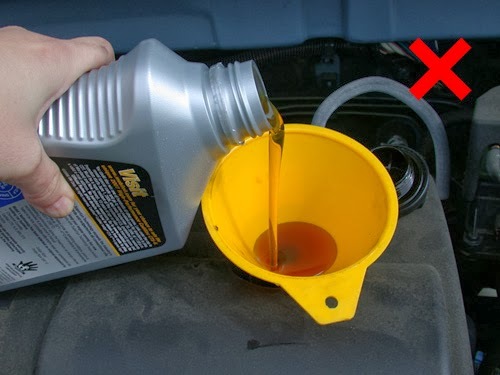 Motor oils are lubricants made for car/scooter/truck engines. They have a different viscosity index and carry no vacuum properties. Motor oils contain numerous additives like rust inhibitors, anti-corrosion compounds etc. that are indeed required for a motor engine. But the same elements present inside a vacuum pump can become potentially harmful. Inside a vacuum pump, under high temperature and low pressure, these additives get separated from the base fluid and stick to the interiors as gummy substances. This affects not only the vacuum pressure but also harms the pump. Also when working temperature of Rotary Pump which is about 80⁰C is reached, motor oils start releasing vapors. This destroys the vacuum. Whereas Vacuum oils during manufacturing are heated to 300⁰C under high vacuum. So they do not release any vapors. Supervac Silicone Rotary vacuum pump oil (SV-77) and Supervac Hydrocarbon rotary vacuum pump oil (SV-68) are free of such harmful agents. They are also free of aromatic compounds. 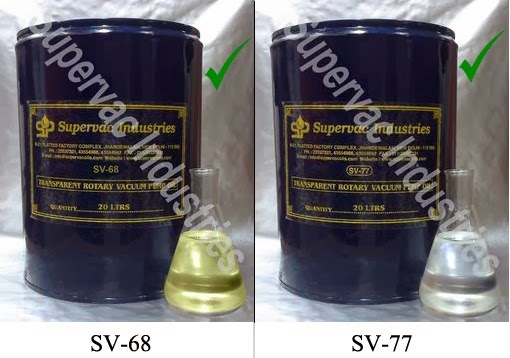 SV-77, a next generation, triple distilled, synthetic rotary pump oil is an excellent product manufactured by Supervac Industries. Along with excellent lubrication it delivers ultimate vacuum of 6×10‾⁴ Torr. Its life is almost 3 times that of ordinary lubricant/motor oil and does not turn to sludge, thereby, bringing down the requirement for pump maintenance. SV-77 has received tremendous positive response from the vacuum industry.